Offers the lowest total cost of ownership (TCO) for a combined logical and physical access control solution. The HID Crescendo Series is highly secure, off-the-shelf smart cards provide out-of-the-box, standards compliant support for thousands of logical access applications. 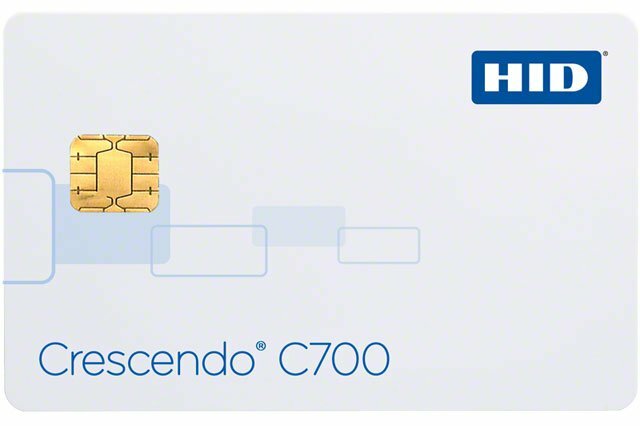 By incorporating HID's industry standard proximity and iCLASS, MIFARE DESFire EV1, or MIFARE Classic technologies, Crescendo Series is a single card that can be easily deployed for both logical and physical access control use. The HID 401150AH is also known as HID-401150AH	.